Two to three further sutures are placed in the similar manner at the middle and lower pole of the kidney (Fig. 1). 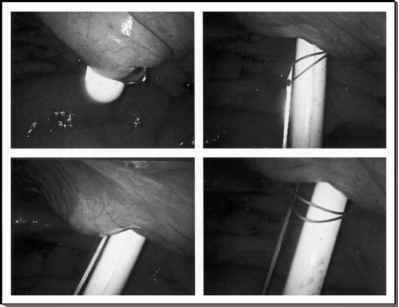 Once all the sutures are secured, intra-abdominal pressure is decreased to 5 mmHg for inspection of the operative field and port sites for bleeding. After hemostasis is achieved, the ports are removed and port sites closed.